Niagara Health is celebrating the tremendous work of our more than 850 caring volunteers and auxilians as part of National Volunteer Week April 23-29. 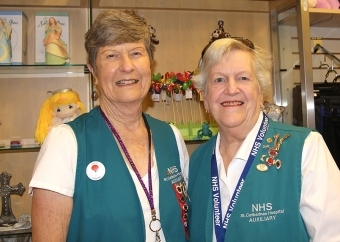 Our volunteers help provide extraordinary patient-centred care in a number of departments including: Cardiac Rehab, Critical Care, Emergency Department, Medical Imaging, Mental Health, Outpatient Clinics, Palliative Care, Surgical Services, the Walker Family Cancer Centre and Women’s and Babies. Our volunteers also support the important work of OneFoundation for Niagara Health System and our auxiliaries by raising money for equipment through Gift Shops, lottery ticket sales and other resource-generating ventures. To learn more about how you can join our extraordinary team of volunteers, please click here. Members of the media are invited to attend the Niagara Health Volunteer Appreciation Dinner on Wednesday, April 26, 4:30 p.m. at Club Roma, 125 Vansickle Rd., St. Catharines.